I don't know about you, but I love taking photos. Nature. Cool buildings. With friends. Places I visit. Experiences I lead. Classes I teach. Relationships I build. These are all images that I try to capture - in appreciation of the beauty. Sometimes, we feel pressured to add a filter or alter an image with an effect that we believe can enhance it. And other times, we may feel pressure to post something or say something or appear as something that defines our identity in a certain way. But sometimes, my favorite photos are #nofilter. This morning, we recite one of the daily miracles of which we thank God for. Baruch Atah, Adonai Eloheinu, Melech haolam, she-asani b’tzelem Elohim. 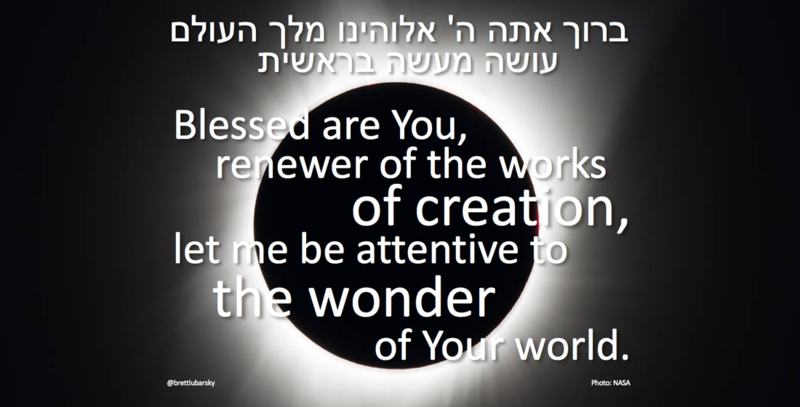 Blessed are You, Adonai our God, Sovereign of the universe, who made me in the image of God. But, what if we challenge ourselves to see the beauty in it all - even the imperfections? Because those are, most often, the things that make the image (tzelem) - and us - unique. So when we say this blessing, giving gratitude for being created in God's image - take a second to consider that. I'm created in God's image. What does that mean? With what responsibility does that come with? What if we treated each other that way all the time? I don't know about you, but I think that newsfeed would look pretty awesome. It's July 4th - a day when many of us celebrate our independence. So before we say the blessing together, here's a challenge: let's celebrate the unique and special qualities that we each have and contribute to the Sci-Tech community. Be proud of and true to who you are. Originally used as a morning intention at URJ 6 Points Sci-Tech Academy during Boker Big Bang. I was recently honored for my twelve years of service to the Temple Beth Elohim community. I was given the opportunity to share a few thoughts, which are found below. I am humbled and profoundly grateful to have been a part of such a significant and exciting chapter of the TBE story, and may we go from strength to strength. Dr. Ron Wolfson’s charge from “Relational Judaism” just begins to scratch the surface. For more than 68 years, the power of relationships have transformed our Temple Beth Elohim family, and for the past 12, have certainly transformed me. The events were great. The trips were epic. The classes were inspiring. But it is within the relationships – the connections made in between – where the holiness dances and thrives. Dr. Wolfson identifies nine levels of relationship, which speak to how my time at TBE has deeply impacted me, and for which I am forever grateful. Bayn adam l’atzmo – between you and yourself: a strong internal Jewish identity, a definition of self that includes “Jewish” as a key factor. From my own formative years as a teen and emerging adult, NFTY, Camp Bauercrest, Hillel and URJ Eisner Camp helped me find and develop pride in my Jewish identity. But it was at Temple Beth Elohim where I learned how I wanted to and could explore the many different components of my Jewish identity. Bayn adam l’mishpachah – between you and your family. Immediately upon joining the TBE staff and congregation, I expanded my concept of family as I gained and appreciated the addition of many new Jewish mothers and fathers in my life. As a TBE family, we work really hard, and we play even harder. Our caring community is a blessing, and has supported me throughout the many turns of my journey. Bayn adam l’haveiro – between you and your friends. Temple Beth Elohim introduced me and gave me the opportunity to work with and learn from many colleagues and congregants over the years, many of whom I consider to be my teachers and friends. (Hillel was on to something, I guess). Each member of our community, and especially our staff, has had a significant impact on who I am as a person and professional. But I need to specifically thank Rabbi Sisenwine, Rabbi Saphire, Cantor Sufrin, Rabbi Franklin and Rabbi Sherman for the light that they have and continue to provide in my life. And to Alison, Judy, Judy, Nancy, Hannah, Leah and Susan – thank you. And to Henry, Harriet, Mike and Pam – your leadership, love and guidance for our community, along with our amazing lay leaders and volunteers, is what enables it all. We could not have done what we have in the past 12 years without your support, vision and care. My sincere gratitude. Bayn adam l’Yahadut – between you and Jewish living and learning. I had known I wanted to become a Jewish educator and youth professional for many years, but it was Temple Beth Elohim that challenged me to think about how I wanted to continue my learning and exploration of Jewish learning and living for myself, in addition to that which I was helping to provide our youth. Bayn adam l’am – between you and Jewish peoplehood, wherever Jews are. The roots and wings that TBE has given me and many of my colleagues over the years has had a significant impact not only on our community, but on the broader Jewish community as well. The Rashi School is blessed to have Rabbi Clevenger as part of their community. Rachel Happel has and continues to change the landscape of Jewish experiential education in Greater Boston and beyond. Now Rabbi Sarah Marion is serving her first congregation in Baltimore, and Ariel Milan-Polisar is currently in Israel for her first year at HUC-JIR. And now Laura and I are both blessed to take what we have done and learned from our TBE family to help strengthen the fabric of youth engagement throughout the Boston Jewish community. Bayn adam l’Yisrael – between you and Israel. Through writing curriculum, designing Shabbatonim, attending conferences and speakers, becoming a Birthright Israel Fellow and staffing URJ Kesher trips, TBE pushed me from not having much of a relationship with Israel to think about how Israel could be a significant and meaningful part of my work. Bayn adam l’olam – between you and the whole world. The acts of tikkun olam (repairing the world) that we have done together have forever changed me. From soup kitchens to Songs of Love to homeless shelters to breakfast for backpacks to reading at schools to volunteering with the Special Olympics to community organizing…I can only say thank you for giving me many, many opportunities to join hand in hand and, together, work to repair our fractured world. 12 years. So immensely blessed. And as Rabbi Tarfon teaches us, we do not have to complete the work…but we must not desist from it. .לֹא עָלֶיךָ הַמְּלָאכָה לִגְמוֹר, וְלֹא אַתָּה בֶן חוֹרִין לִבָּטֵל מִמֶּנָּה (Pirke Avot 2:21) As I begin the next chapter in my Jewish journey, I look forward to continuing to connect with our TBE family in new and different ways, both as a congregant and in my role as Associate Director of the North Shore Teen Initiative. I am excited to watch our youth community continue to flourish under the skilled guidance of our team. …and, to think, for me - it all started with a little red book. Where Are We GOing This Year﻿? When I saw complete strangers walking up to each other and striking up conversations in the middle of a park, I admittedly did a double-take. It was a beautiful summer evening, and I was on a rare night off camp. A friend and I went out for dinner in a nearby town, and decided to go for a walk in the town center afterwards. This was about a week after Pokemon GO was released, and while we had heard about it, we were enclosed within the camp bubble and had not yet experienced its true power. As the main website charges, "Get up, get out and explore!" And people were doing just that. At first, it looked like a bunch of zombies walking around with their focus on their smartphone screens. But upon taking a step back, we noticed that groups were exploring together and even connecting with complete strangers over this newly discovered common interest. And while some retailers and museums have understandably embraced or winced as enthusiasts have wandered in, there has been plenty of good that has come from this craze that has certainly been sweeping the nation. When I offered a "PokeWalk" for our staff the following week, it was truly awesome to have nearly 20 staff members walking together, connecting over this shared enthusiasm and discovering new things...around us and about each other. I'd like to take this concept to the next level. 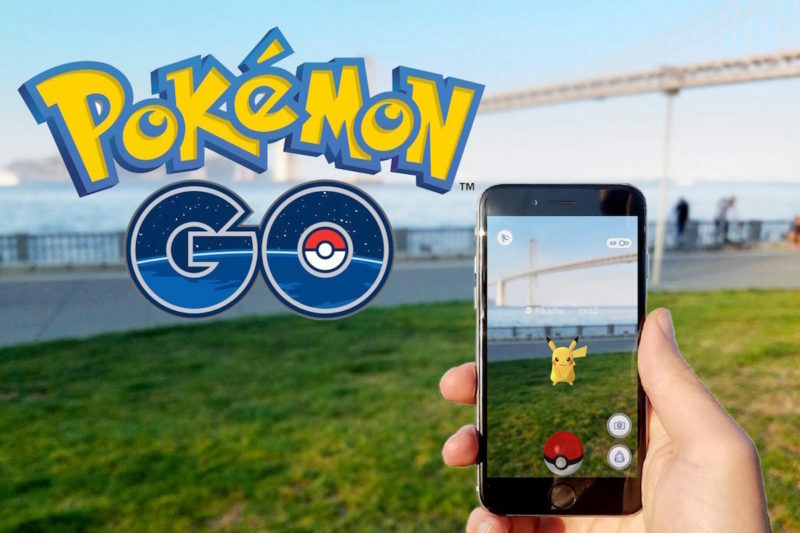 Imagine if we approached life like someone does while playing Pokemon GO - with excitement, anticipation, wonder. As we prepare for the new year, think about where our journeys will take us and identify what we would like to search for and add to our personal and collective narratives, we can connect our pop cultural interests with an older concept that is tried and true from our teachers. I believe that as Heschel teaches us, it is in the act of living and looking that we find amazement. (I usually add the tags #skyappreciation or #natureappreciation.) In this new year, may we be able to hit the pause button and slow it down every once in a while to seek out the holy in the ordinary - in ourselves, in our relationships with others, and in the environments surrounding us. Wouldn't that be amazing? Regardless of how fast or slow the summer months seem to pass by, my kitchen table remains a pretty accurate read of where things stand. Piles of information for interesting potential opportunities, remnants of adventures gone by, and a few stray books that didn't quite make it onto the reading list. Sitting in the corner like its minding its own business (while in reality seems to jump out above everything else) is my to-do list. Normally, I find solace and gain a sense of accomplishment in seeing the crossed-off items. Not right now. This list displays all of the "wanted-tos" and "should-haves" that didn't quite happen over the past three months. And, yet, it's time to turn the page and move forward. But is it really? Elul is the month that precedes the High Holy Days and is traditionally a time for introspection, personal reflection and preparation as we plan for the new year. Part of this is looking forward and planning for the future, but we need to step back and take a hard look at where we've been, what we've done and where we are. This includes looking at those last standing items on the page which have yet to be crossed or checked off, and asking ourselves why they didn't happen. Were we too busy? Did we prioritize in a way that represented our best selves? Should we add them to the new list about to be created? Lots of questions. Lots of thinking. September 1: started new job. So...yeah. It's been a busy summer. I didn't write as much as I wanted to. I didn't accomplish all of my goals. And I didn't put on enough sunscreen. But I feel really different. Maybe it's all of the time I spent in the car last month? Maybe it's the space I am trying to give myself to process. Maybe it's because the Superman vs. Batman movie was just that bad. But I'm here, and I'm present. It's time. Hello Elul. One of my favorite things to do each fall has been to spend time in our synagogue early childhood learning programs, sharing the shofar with our younger friends. One of the songs that we sing as we sound the shofar says, "I like to hear the shofar blast. Sometimes slow, and sometimes fast." Just like in life - sometimes things come along a bit slower, and faster at other times. The shofar is sounding as a reminder for me to slow it down and take the time I need this month to prepare, which is one of the reasons why I am grateful for #BlogElul and #ElulGram. Throughout the year, we use various social media channels to communicate with others and express ourselves. Hosted by Rabbi Phyllis Sommer (@imabima), this is a wonderful way to connect spirituality and mindfulness with social media as we prepare for the new year. How can our use of social media be combined with our spiritual practice? As we welcome 5777, let’s take some time to stop, find the holy in the ordinary, and think about how we can add some kavanah (intention) to our lives and posts. While I intend to write a few times, I will mainly be posting links and photos, which you can follow on Facebook, Instagram or Twitter. Growing up, dress-up was a frequent part of my routine. Trying on different costumes and outfits, along with their connected personalities and attitudes, was exciting and always something new and different. From being a superhero saving a city to assuming the role of an actor in a movie, I loved the feeling of adventure and opportunity that came with putting on that hat, shirt, mask or even going by a different name and story. My friends and I looked forward to these adventures and stories, and our alter egos spent many hours traveling and exploring. You know that old saying that the more things change, the more they stay the same? Well, it's true. Many years later, I still love stories and adventures. Those who spend any significant amount of time with me know that I am a fan of all things Spider-Man and Batman. I wear many hats (and masks) in the various roles I play in my communities, and I am always down for a good adventure during a road trip or (infrequent) non-scheduled weekend afternoon. But here's the thing: all of these examples are voluntary situations where I can choose how I dress or act. Sometimes, we don't have the ability to decide which mask we're wearing. When do I find the right time to share my story with someone? What parts of my identity do I reveal in an effort to be authentic and true to myself while in relationship with others? The themes of identity and donning/removing clothing are threaded throughout our ancient texts. A biblical narrative beginning with Adam and Eve as they ventured into uncharted territory outside of the Garden of Eden and passed down through the generations, the Scroll of Esther presents a poignant account of donning and removing clothing and tells a story which is largely focused on revealing and concealing. What can we learn from the act of concealing? When are the moments that we let our true colors shine through, and when are the times that we feel like we must hide or alter ourselves? What do the masks and costumes we wear say about ourselves, as well as provide insight into those around us? Baseless hatred (see Brussels) and discrimination (see North Carolina) surrounded our Purim celebrations this week. Many of my colleagues, teachers and friends were faced with an interesting dilemma while attending a policy conference - stay and listen to a leading Presidential candidate who has not been leading by his values, or exit the public space and go study those very values which have been absent from said candidate's campaign. Poetic: we should be encouraged to develop our passions and turn them into action. At times, we may not be quite sure how we feel about something...or know that something is bothering us, but can't quite put our finger on it. Other times, we are filled with passion and purpose. And while many of us live in between and embrace periodic ambivalence, deep down we know that we must make a decision and do what is right [for us or for the situation]. Those moments and decisions may be planned, or are surprises at other times. While we're not always comfortable, we must challenge ourselves to follow our hearts and guts...even if it means doing so while wearing a mask. After all, it's not always who you are or what you wear, but it's what you do that defines you. This Shabbat, in Vayigash, we read that Joseph reveals himself to his brothers. Joseph asks them to bring their father back to Egypt, and the family is finally reunited. Feeling all the feels, Joseph says to his brothers, "I am Joseph. Is my father still well?" (Genesis 45:3). His brothers are stunned and say nothing. Joseph persists, saying, "I am your brother Joseph..." (Genesis 45:4). In Vayigash, we witness the moment in which Joseph reveals himself to his brothers. We, the readers, know this man is Joseph. But for his brothers - the sons of Jacob, this is a moment of great surprise. Big family moment and lots of feelings abound. The concept of revelation is a tough one, and the connected emotions and process is heavily dependent on the relationship we have with those with whom we are interacting. Revelation occurs when the true identity of a person is shown to another. This can happen publicly or, as in the case of Joseph and his brothers, in private, and can range from liberating to frightening and everywhere in between. Some revelations are easy and jovial, while others are difficult and deeply personal. This week, I announced to my friends on Facebook that I have never seen any of the Star Wars films. The response, while expected, was overwhelming and hilarious. "Is this a safe space? Neither have I..."
As an educator who loves to connect popular culture and works with adolescents, teenagers and emerging adults, many of my friends and colleagues expressed great disbelief in this revelation. On top of that, many contacted me privately and questioned my sanity for sharing such a dark secret. While humorous and entertaining, it got me thinking. I recognize that this revelation was small potatoes. While I won't be one of the millions of people standing in line and viewing this anticipated new chapter of the Star Wars series, I do appreciate its place and importance in our culture. And I also appreciate that many of my friends wrestle with revelations that are significantly more difficult than mine. There is so much judgement and hatred in our world right now, which often makes it hard for someone to feel completely safe and/or able to share themselves with others. Earlier this week, I was able to spend time at a local Islamic center with a group of teens and parents. During this experience, we shared great conversation, enjoyed a nosh and learned about the vast similarities between our communities and faiths. It was difficult to hear about the baseless hatred and stereotypes which are a norm in their daily lives. Our neighbors and friends do not feel safe to openly express their thoughts, beliefs and identities. We must not stand idly by. We need to speak up for our neighbors, regardless of what similarities we can find. In fact, we are commanded to love our neighbors as we love ourselves. (Leviticus 19) So we need to start doing that. Organizations such as Keshet, Planned Parenthood, HIAS and the Religious Action Center for Reform Judaism are a few examples of many who are fighting for change. As the great Yoda once said (or at least my friends have told me he did), "Fear is the path to the Dark side. Fear leads to anger, anger leads to hate, hate leads to suffering." Every single day, we choose which parts of ourselves to reveal to others through moments of interaction and connection. Let us hold onto the teaching of Hillel and not separate ourselves from the community, but rather to embrace and celebrate our role in it. Let's challenge ourselves to help others and ourselves by making our communities more welcoming, safe and inclusive places where we can feel comfortable celebrating all that we are. Shabbat Shalom! Chanukah is a holiday of juxtaposition. We weave our way through darkness and light, oppression and freedom, despair and miracles. Much like our lives (and in my last post), there are times of joy and times of difficulty. Certainly not an easy course to navigate, and while there are times we wish it could be, this route is not included on the current versions of Google Maps or Waze to act as our guide. Halfway through the festival of lights, I find myself struggling. The past week has been a rollercoaster of emotion, finding myself caught in the middle of helping my community, simultaneously celebrate and heal. Talk about juxtaposition. Sometimes we find ourselves looking for the light, and, at other times, we recognize that we must be that light for others. For the past week, I have tried to find the words to speak or write, but they would not come. Only tears. What can you do when someone in your life can't find the light they need? This week, I felt helpless and paralyzed. Why are so many of our amazing, talented, intelligent and special teens unable to find the light through the darkness? How can we, as mentors, advisors, teachers and role models, keep our light burning and visible as we attempt to support and comfort others? Not to mention all of the other noise surrounding us. Another shooting. More antisemitism and baseless hatred. What is going on here? Headlines. Alerts. Notifications. Our schedules are filled with interruptions, jockeying for attention, informing us of additional information that fills our screens, inboxes and news feeds. Please include [victim names/location] in your prayers. How many times have we said, heard or read these words in 2015 alone? The NY Daily News front page says it all. Our public officials, who make religious references in times of pain and tragedy, are spending an awful lot of time thinking and praying. Not that praying isn't a good and important option, but it needs to be combined with kavanah (purpose and meaning). It needs to lead towards action. We need to make more time to talk about mental health amidst this ridiculous race to nowhere culture in which we live. We need to create better support systems for our children, and help them develop the language to identify and talk about how they are feeling. We need multiple reminders that it's okay to not be okay, but it's not okay to feel like you can't ask for help. We need to talk about how racism, baseless hatred and bullying are not the answers to any problem, and that it is our responsibility to engage in productive dialogue and build relationships with those who we may not see eye to eye with or understand from where they are coming. Oh, and by the way, we also need to stop shooting each other. While I am, at this moment, not quite able to appreciate things for just what they are, I am grateful for a many things and people that add light to my life. Technology. For the miracles of connection, ability, strength and discovery. While I am provided with abundant light just for being able to light the Chanukiyah via FaceTime with my partner while we live apart with busy schedules, others are given the ability to walk and learn through important advances. Jewish Camp. I've been blessed to not only be part of multiple camp families, but I also am able to connect others through my work. I am, without any doubt, who I am today because of the people I have met and the experiences I have had through my time at Camp Bauercrest, URJ Eisner Camp and URJ 6 Points Sci-Tech Academy. Community. We often say it takes a village, and I wholeheartedly subscribe to that belief. Through the countless meetings, encounters, conversations and experiences I have had over the past week, it is consistently the special people in my life who find ways to lift me up and find the light in the darkness. I am grateful to have friends, teachers, mentors and family who help me recalibrate and find my way. In the spirit of pirsum hanes, publicizing these miracles, for the final four nights of Chanukah, may the Chanukah lights help us to appreciate the miracles that we overlook and recognize the power of the light we bring to others. Let us speak up, be agents of change, love our neighbors as we love ourselves and help bring out the light in each other. Chag Urim Sameach! For videos, blogs, recipes, tikkun olam and other Chanukah resources that I have compiled, visit TBEYouth.org/chanukah. Those who walk in darkness will see the great light. Those who yearn for freedom will find a home. and those who stand, still search for miracles. Who will light a candle for the future? Who will sing a song? Who will find in their heart a new bright light? In yesterday's torch, the fire will still burn. Sometimes a great miracle occurs. The candles are lit on my window sill. There are some who will know how to solve my dream. Don't promise me miracles and wonders. Even the fog is a sign of the future. In a stormy season, don't repeat. On your way you will find hope and light. ** Quoted from the blessing for Chanukah candles, Al Hanissim, "who made miracles possible for our ancestors in those days and at this time." How Long Can a Season Last? I just got home from having dinner with friends in their sukkah. A night I look forward to every year, we are able to block out the noise of the busy world around us for just a few moments and enjoy each other's company while surrounded by nature. During the fall holiday of Sukkot, we give thanks for the fall harvest and it is both a commandment and a mitzvah to dwell [in the sukkah]. By definition, dwelling is to live or continue in a given condition or state. Today, ten more people lost their lives to senseless gun violence. Seven additional people were injured. Those people have names and stories. Their journeys now cut short, and their communities left grieving and broken. At what admittedly had become far too routine of a post-tragedy press briefing, President Obama's words lingered. "Thoughts and prayers are not enough. It's not enough...it does nothing to prevent this carnage from being inflicted someplace else in America." We have dwelled in this season long enough. When will it be the time for change? ​Sukkot is also known as Z’man Simchateinu (Season of Our Rejoicing), and is the only festival associated with an explicit commandment to rejoice. It also is a time to recognize the change from one season to another - with a favorite reading and song coming from the Book of Ecclesiastes. The s'chach (roof) is to be temporary, covered with loose branches from trees or anything that grows out of the ground, should give shade and yet allow those in the sukkah to see the stars through the roof at night. When will more people look through the metaphorical s'chach and see the baseless hatred and violence in the world around us? This season of senseless violence has overstayed its welcome. There has been too much time spent weeping without dancing. There has been too much time where stones have been thrown without being gathered. There has been far too much ripping, with those rips not being able to be sewn back up. Too many of us have spent time silent, not speaking up. When will this season turn? When will more of us not stand idly by and seek the change we need in our country in the form of revised gun control legislation? Time marches on, seasons change and those numbers continue to climb. I'm proud to be a Reform Jewish youth professional and educator. Many of my friends, teachers and colleagues strive to create this much needed change in our world, and are on the front lines lobbying and raising their voices. Along with my teens at Temple Beth Elohim, I went to Washington last spring to lobby our officials as part of our participation in the Religious Action Center's L'taken Social Justice Seminar. Our own TBE community has been affected and we have begun to take important steps to create change through community organizing and awareness. NFTY, our Reform Jewish youth movement, has created a campaign for awareness and change, charging us to say #NotOneMore. On June 2, we were #WearingOrange in solidarity on National Gun Violence Awareness Day. We're trying to move to a new season. It just so happens that one of my teachers, Rabbi Jonah Pesner, Senior Vice President of the Union for Reform Judaism and Director of the Religious Action Center of Reform Judaism is joining us for Shabbat at Temple Beth Elohim tomorrow night and will be speaking about the holy work that our community and movement is engaged in. If you're in the area (or online), I hope you'll join me in welcoming Shabbat at TBE and listening to Rabbi Pesner's charge. One of the texts that I try to live by is from Pirke Avot 2:16, which says, "It is not up to you to finish the work, yet you are not free to avoid it." I translate that as even though we might not be able to complete it, we have to get up and contribute to the effort. As we prepare for Shabbat, take some time to ask yourself: what can you do to help us get to a new season? One with more celebration and without gun violence. A season with less mourning and more dancing. Kehn yehi ratzon - may it be God's will. Shabbat shalom.